Rohde & Schwarz FPC1500 spectrum analyzer with tracking generator, frequency range from 5kHz to 1,5GHz, 1Hz resolution, DANL -150dB (up to -165dB adding pre amplifier FPC-B22). The R&S®FPC has the Value of Three: it is the only spectrum analyzer on the market that provides the value of three instruments. Incidentally, these are the three most commonly used instruments on an RF engineer's work- bench, for instance in IoT device development. 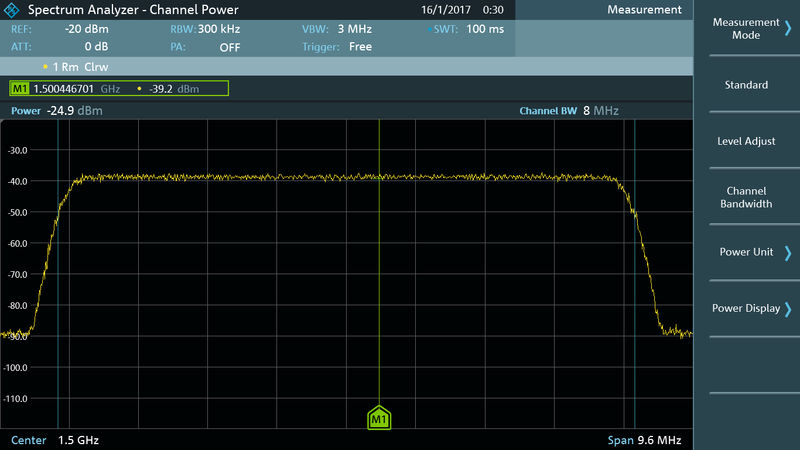 The R&S®FPC is a spectrum analyzer that provides investment protection through software frequency upgrade capability. It features class-leading RF performance engineered in Germany. In addition, PC and mobile remote control options are available. 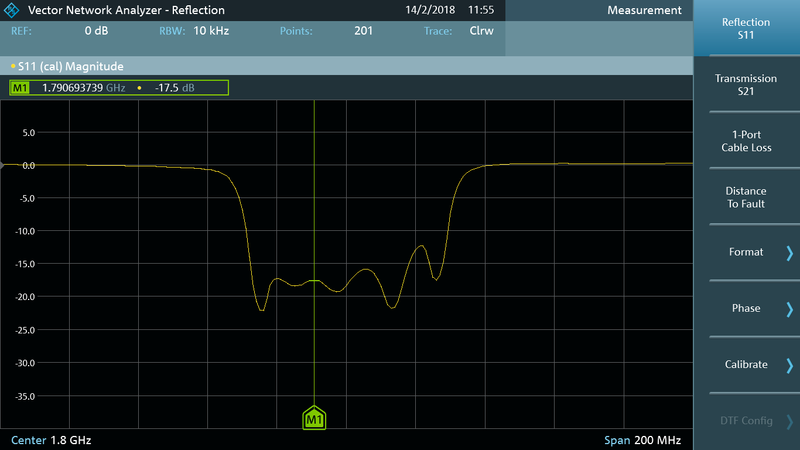 The R&S®FPC is a vector network analyzer that utilizes an integrated VSWR bridge to achieve one-port vector network analysis, with a Smith chart display available. Having an integrated VSWR bridge means there is no need to mount/dismount an external bridge during test operation. The R&S®FPC is a signal generator due to the unique independent source principle. Not only does it provide standard tracking generator functionality, it can also be used in free or coupled CW modes. By combining the Value of Three instruments, the R&S®FPC is truly unique. The advantages of this three-in- one concept reach further than having only one bench space occupied. A single instrument also means that to obtain the specified measurement performance, only a single investment and a single calibration are required. RF performance engineered in Germany. R&S®FPC1500 S21 scalar transmission measurement with the R&S®FPC-K42 option. R&S®FPC1500 S11 magnitude measurement with the R&S®FPC-K42 option. R&S®FPC1500 Smith chart with the R&S®FPC-K42 option. 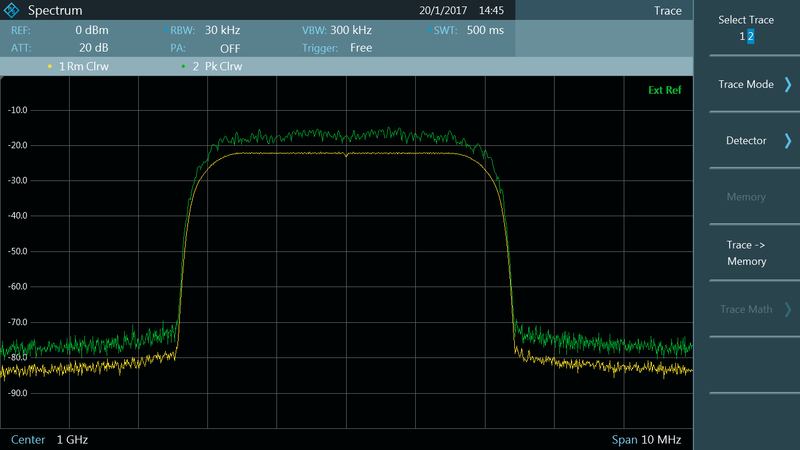 R&S®FPC1500: signal generator signal measured in the spectrum analyzer mode. R&S®FPC1500: tracking generator measuring a filter. Standard feature: two traces available. Standard feature: up to six markers. R&S®FPC-B22: high sensitivity with internal preamplifier.